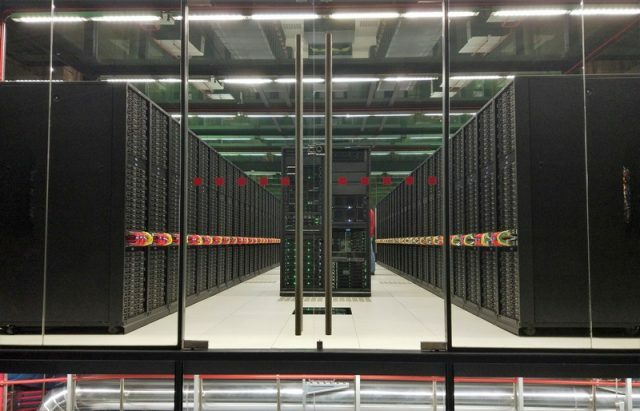 When we talk about facilities designed to store scientific supercomputers, we usually imagine high-tech structures of concrete and glass, with a sense of futuristic vision. Buildings suitable for housing such devices usually need to fulfill certain conditions and are therefore built for this occasion. 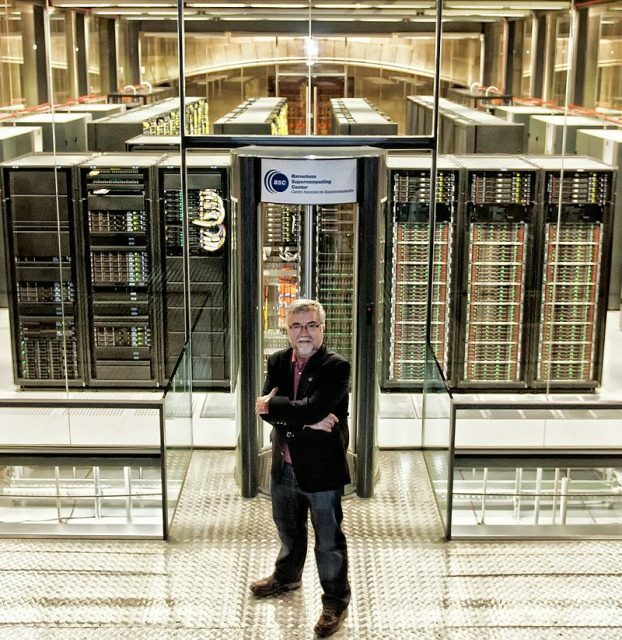 However, in Barcelona, heads of the Polytechnic University of Catalonia (UPC) decided to combine history with the future of computer science, creating one of the most beautiful settings for its MareNostrum supercomputer. 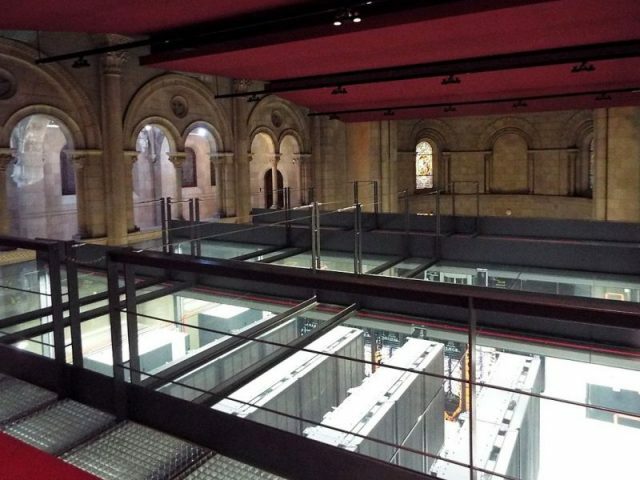 The Barcelona Supercomputing Center which houses the machine is actually a 1940s chapel, that was deconsecrated in the 1970s. The estate on which the chapel was built was once a privately owned residence of the Girona family, whose patriarch was Manuel Girona, a 19th century banker and Mayor of Barcelona. The estate was built in the 1860s and belonged to the Girona family for more than 100 years. It became the property of the Polytechnic University in the 1970s, together with the famous Torre Girona chapel. 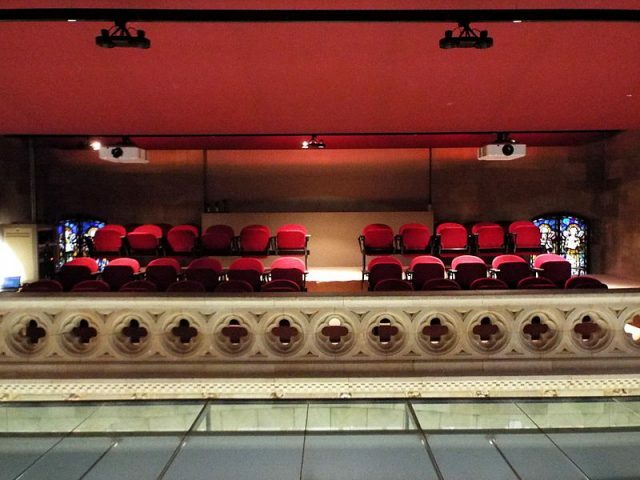 The chapel was used as a boardroom and even an aula magna for UPC lectures up until 2005, when the university decided it would be the perfect location for the headquarters of the Barcelona Supercomputing Center. 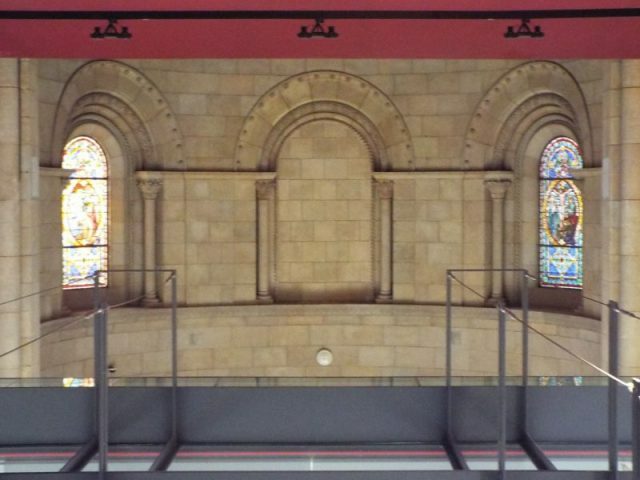 Adjustments were made in order to reinforce the ground around the chapel, as it had to sustain the weight of hardware and the glass box specially designed to house MareNostrum and help cool it. As for the exterior of the church, its most recognizable elements remained untouched. The Torre Girona still possesses its original pillars, the arched gallery, and the stained glass windows. On the other hand, the interior infrastructure was redesigned so that it could fit a 120 square meters glass box (that’s an area a little less than half a basketball court) in which MareNostrum is stored. While the sight alone leaves people breathless, the operational capacity of MareNostrum is even more eye-popping for the programmers and scientists who work with it. 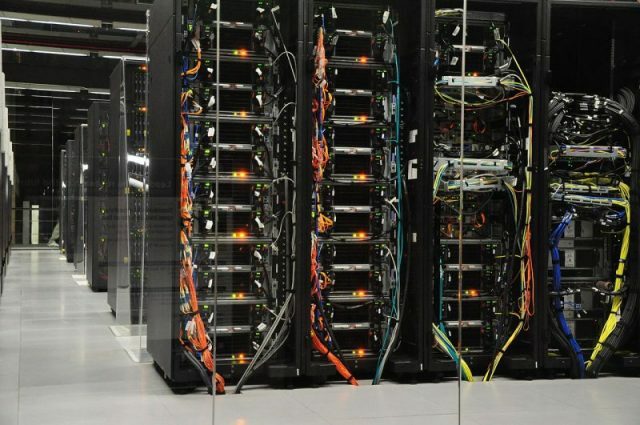 Back in 2005, when it first came online, the supercomputer was capable of computing between 42.35 and 63.8 trillion operations per second. Since 2017, its performance was enhanced to up to 11 thousand trillion operations per second. 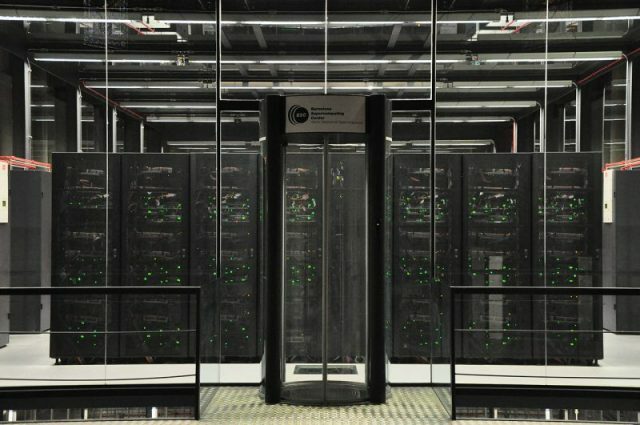 The current MareNostrum is the fourth incarnation of the supercomputer, which spreads over 48 server racks and is considered to be the 25th most powerful computer in the world. Translated as “Our Sea,” MareNostrum refers to the Roman name for the Mediterranean, adding yet another layer of historical meaning to the project, reaching back through time in order to envision a continuity in scientific research dating from the times of Ancient Rome to this day. 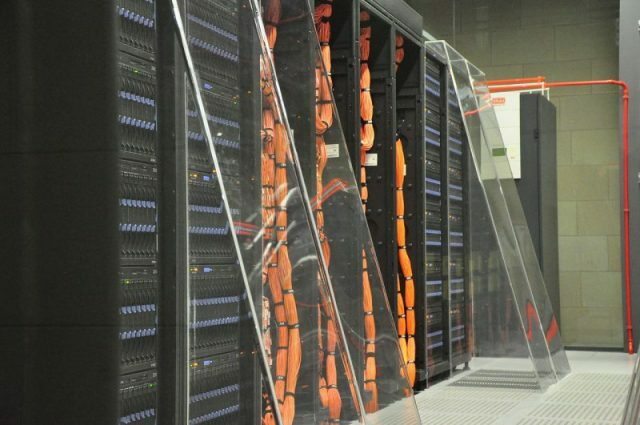 Although it operates with $40 million worth of equipment, the Barcelona Supercomputing Center allows researchers the benefit of using MareNostrum in their studies free of charge. 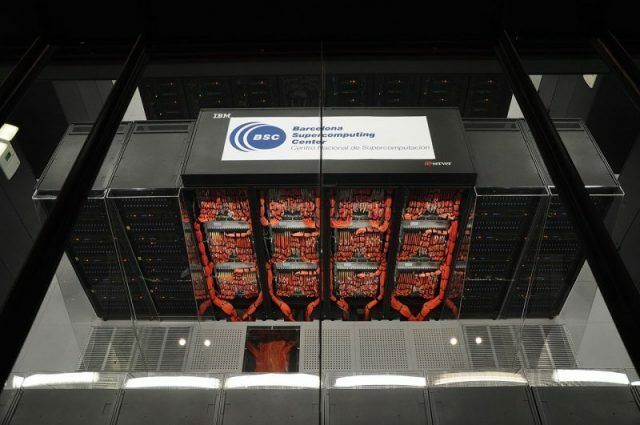 From its inception in 2005, the UPC supercomputer has participated in research revolving around a variety of fields, including astrophysics, climate modeling, and genome research, and has been known for achieving remarkable results. For example, in 2012, researchers assigned to MareNostrum conducted a study which managed to simulate the structure of triple helix DNA in a vacuum. This groundbreaking project shed further light on the use of antigen therapy, which currently constitutes a cutting-edge approach to a disease by switching off activity in the relevant genes. 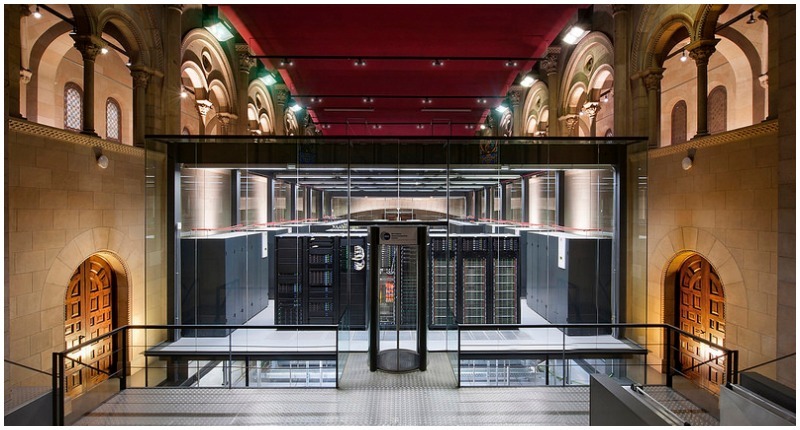 Even though aesthetics were never a top priority for the UPC, the Barcelona Supercomputing Center was awarded the prize for Most Beautiful Data Center in the World, in January 2018. The competition is held annually by Datacenter Dynamics (DCD), a respected London-based IT media publisher.